A Sure-Shot Strategy to Expand Your Twitch Following! With the income of content streaming and social media on the internet, the modern digital business scope has changed drastically. Success in this world is nothing but a game of numbers like in the world share trading, only here the numbers in question are the statistics of your content- the number of viewers, number of likes, number of shares, and most importantly, the number of followers/subscribers. No matter what content sharing platform you use, the number of people who follow your content regularly is definitely the most vital way to gauge its effectiveness. Therefore, it comes as no surprise that there are so many Content Gurus out there who’ve ironically made content out of lessons on cracking the number game in the content world. But today, we’re going to tell you how you can crack the number game on Twitch, a world-famous content streaming platform with millions of subscribers, by gaining followers. Before we begin, here’s a brief overview of Twitch for those of you who are new to it. Twitch is an online content streaming platform famous for live streaming Video Games, used by professional gamers and gaming lovers all over the world. In a nutshell, Pro Gamers play popular video games and live to stream their gaming strategies and play-throughs on Twitch, and people watch them learn how to play more effectively. Over the time, twitch has expanded from being a Gaming centered content streaming platform, and now features content of various other genres, by adding a new ‘Creative’ section in it. And now, digital art, blogs, videos, and all sorts of other content can also be shared on streamed via Twitch. And like any other content streaming platform, the success of twitch depends on the number of viewers and followers you have. As a beginner on Twitch, you’ll need connections to people who’ve been in the game for long. Start with following pros and users with the high following, watch their live streams, engage with other users in the comments, learn their strategies, communicate with them and discuss the idea of a collaboration. You could have each other host a stream on the other person’s account, and this would draw their ardent followers to your account. Not all the content you that share will have the same response initially. Keep an eye on the statistics and analytics. Observe which content gets the best review, analyze what the followers like, and make more content similar to it. Similarly, also keep an eye on rising trends in gaming and other content, and make sure your content is always up to date with the latest trends, before it’s too late. Publish content on games as soon as they’re released. If you face budget issues, use torrents or Kickass proxies. 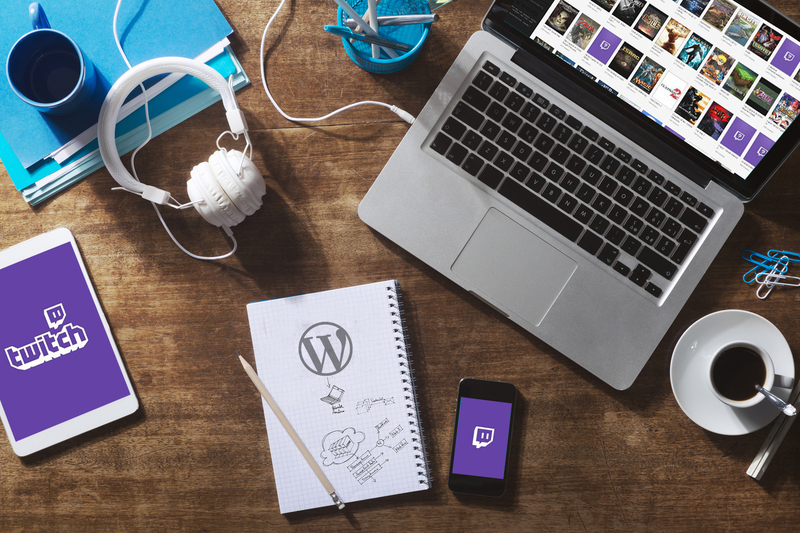 Promotions and marketing is another way to boost your content’s viewership on Twitch. Make accounts on all social media like Twitter, Instagram, Facebook, etc. and connect with twitch users and gamers on them. Use the paid promotions features if you can, that would have your following skyrocketing in no time. Draw your followers’ attention to the content you share on Twitch. Other than social media marketing, there’s an offline promotion as well. Nothing works as good as word of mouth publicity. Visit all the offline Twitch and gaming events around you, communicate with fellow users, make your presence felt, and give them a glimpse of what you have to offer. Now that you’ve figured out how to promote your content, people will start visiting it to see what you can offer. But you don’t want them to just visit; you want them to stay. And to do that, you’ll have to ensure that your content is worth their while and draws their attention at once. So invest all your time in energy in creating quality content, as well as the quantity of content. Give your twitch account a good layout, keep your content engaging and interactive, that keeps them wanting for more. As long as you keenly understand and follow the above tactics, your following on Twitch will begin skyrocketing in no time. Success in the content game is not an overnight thing for everyone, so you’ll have to invest a lot of energy and time as you begin to gain more followers. It’s also well known that people with a large number of followers gain more and more followers easily, so to get yourself a good firm foundation, you can also buy twitch followers on twitch initially, which will give you a great headstart.